Due to the early sunset, the trial races, as well as the final race itself, will have a different schedule from their summertime counterparts. 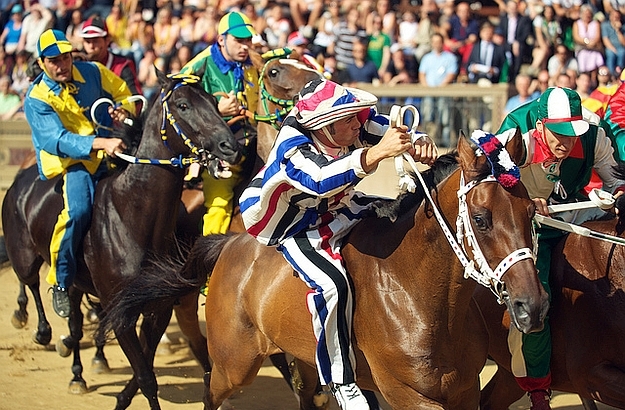 Held during the three days leading up to the final Palio – and quite entertaining in their own right –, the trial races will start at 10:30 AM and 5:15 PM. If you don’t like big crowds, or won’t be able to make it to Siena on the 20th, you might want to consider turning up at one of these play-offs. 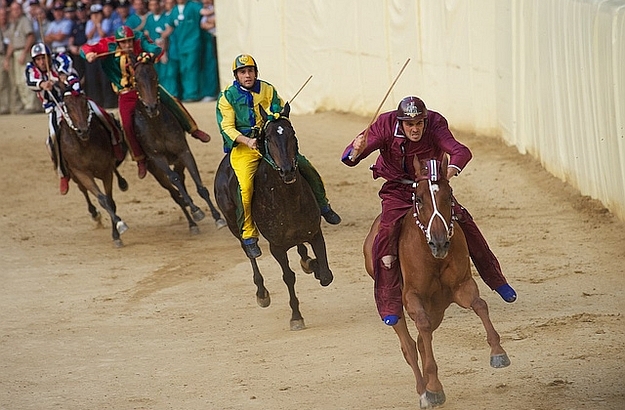 The final Palio, on October 20th, will start at 5 PM. 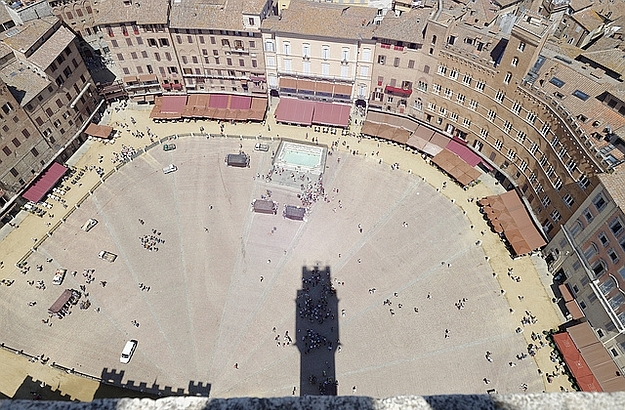 Keep in mind that you’ll need to be there at least 2 hours early, if you want to be able to get into the Piazza del Campo. 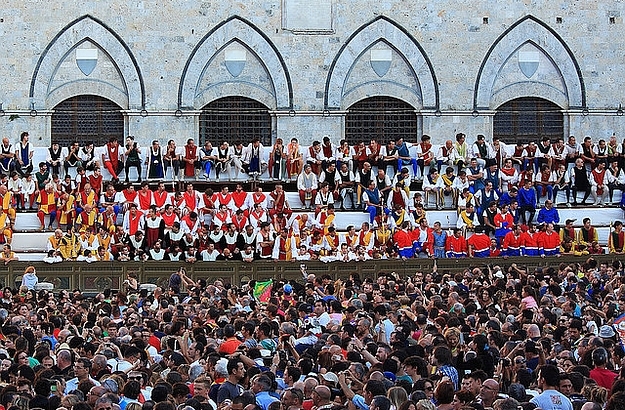 To get a good grasp of what the Palio is all about, and to fully enjoy it, make sure to read about it beforehand. 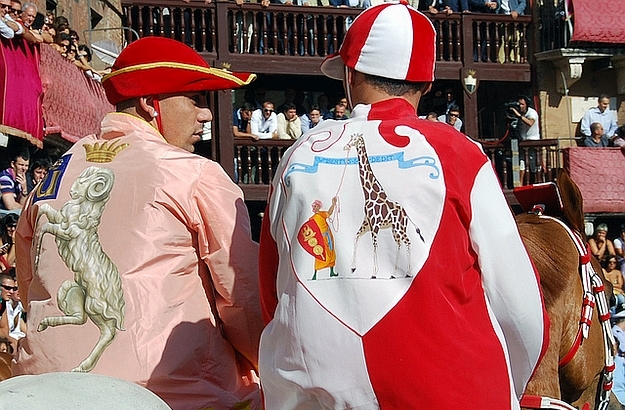 Although the final race only lasts 90 seconds, knowing about its intricate preparation, the historic animosity between the 17 competing teams, and the covert wheeling and dealing going on between the jockeys, will undoubtedly kindle your interest in this great event. 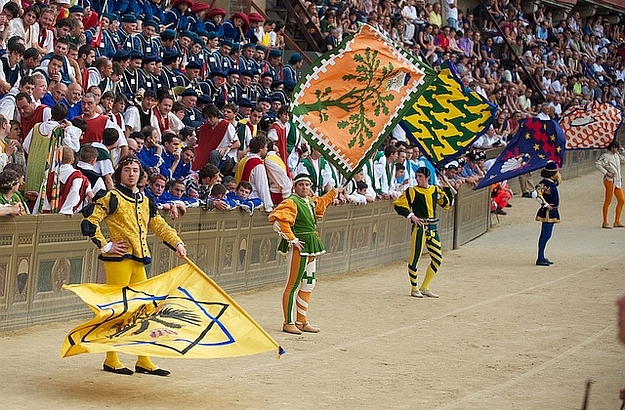 On a final note… The very first Palio Straordinario took place in 1650 in honour of Ferdinando II de’ Medici, grand duke of Tuscany from 1621 to 1670. In more recent times, the extraordinary Palios have celebrated exceptional events, like the First Man on the Moon in 1969, or the turn of the millenium in 2000.